Michel bait worms presents its range. 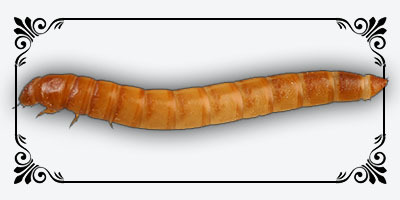 Find Earthworms andMealworms. Earthworms belong to coelomate group tripoblastique protostomien in the subclass Oligochaeta (literally have little hair) in order Haplotaxida and suborder Lumbricina. 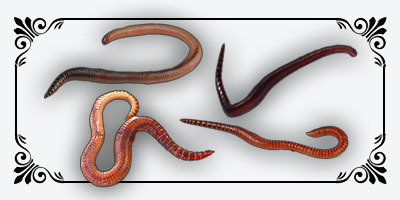 The morphology characteristics are used by taxonomists to classify earthworms. These characteristics are: the position of the segmental clitellum on the body, the body length, shape (cylindrical or flattened), the number of body segments, the type and location of the bristles, the description of the prostomium ,the peristomium, the position and external genital morphology orifices.